Address: 354000 Krasnodarsky Krai, Sochy, Moskovskaya st., 21. National Park Sochinsky, in the Adlersky, Khostirsky, and Lazarevsky Districts of Krasnodarsky krai, was founded in 1933. Its area is 189,6 thousand ha. 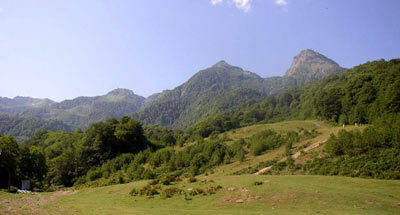 It comprises chains of parallel mountain ridges of the Black sea Great Caucasus range from foothills to high-mountains. Rivers are relatively short, fast, and shallow. 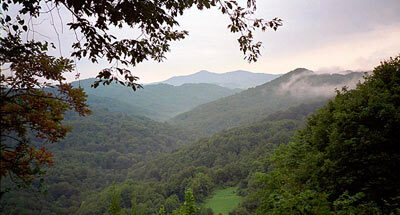 In the plant cover several height belts are distinguished: wet subtropical mixed forests with undergrowth of evergreen bushes and lianas (to 300-600 m above sea level); oak, hornbeam and chestnut forests (to 800-900 m above the sea level); beech forests (to 1700 m above the sea level) ; alpestrine beech or pine crooked forests, with alpestrine bushes (Caucasus rhododendron prevailing); and finally alpine and alpestrine meadows. A high diversity of rare and disappearing plants is noticed: especially common yew, Buxus colchica, Pinus pityusa, Juniperus excelsa, Corylus colurna, Ficus carica, Caucasus lily, Anacamptis pyramidalis, Erythronium caucasicum, Scabiosa olgae; Orchis punctulata, Orchis purpurea, etc. 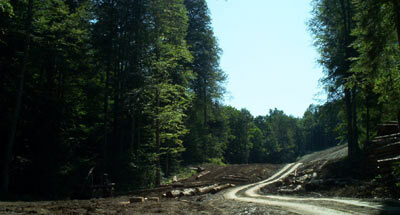 Sites of primary forest with elements of chestnut, Abies nordmanniana, Pinus kochiana, eastern beech, and box-yew, habitats of the Rhododendron ponticum, are subject to special protection. In the mountain-forest belt European roe, Caucasian deer, wild boar, brown bear, marten, American elk, and badger live; lynx is met rarely. The mountain-meadow belt is inhabited by auroch, chamois, and Caucasian partridge. Among rare animals listed in the Red Data Book of the Russian Federation there are the banded newt, golden eagle, bearded vulture, and Caucasus wood grouse.